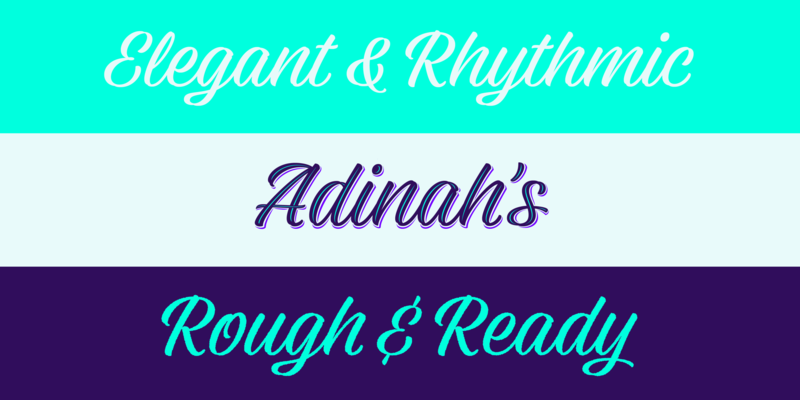 At its core, Adinah is a lively brush script with a strong sense of rhythm. Adinah’s expressive letterforms are based on pointed brush calligraphy with a hint of sign painting. This Sign painting influence reveals itself the further you dig into the family styles. 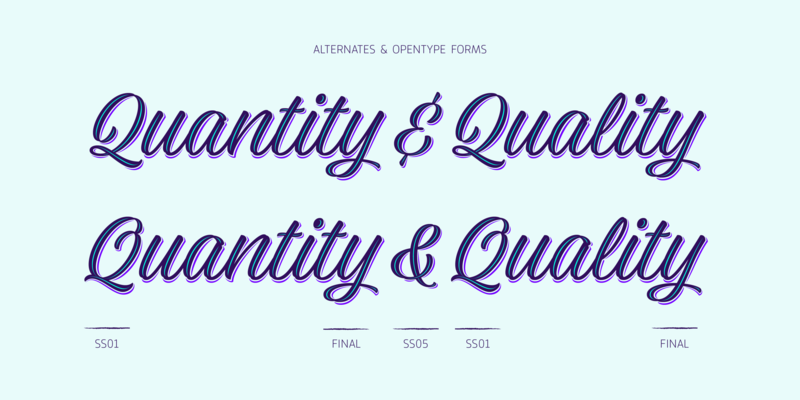 Eight combined styles are complimented by a sub family of Six Layered Font options. All can be mixed and overlaid to produce elegant typographic compositions and decorative display type; Perfect for attractive advertising, branding, Packaging and instant logotypes. 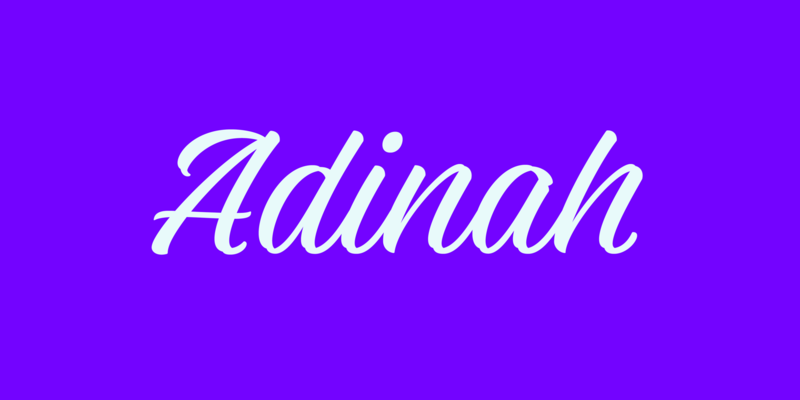 Adinah’s aesthetic is a balance between refined brush styles and more casual spontaneous writing. The family has been carefully crafted to be a flexible tool-kit with a range of typographic voices and uses; An asset to any typographer. 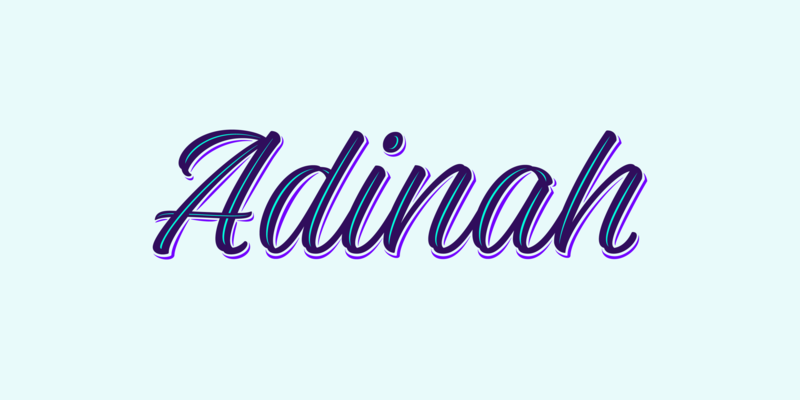 For a change of tone Adinah comes in solid and rough variations; Solid produces smooth and precise lettering while Rough can give the impression of distressed writing or ink bleeding into the paper. 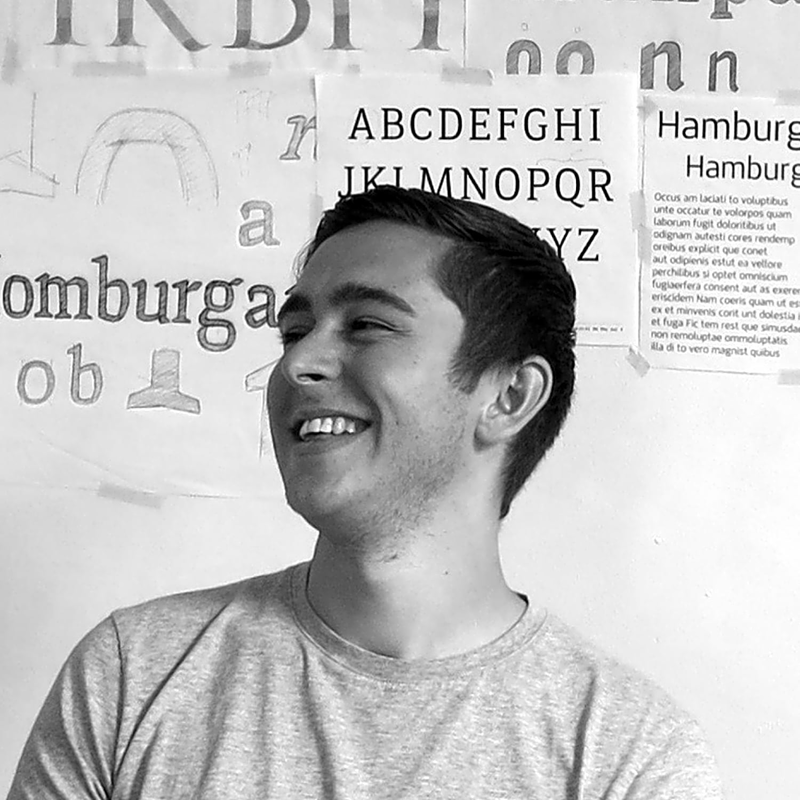 The base script can be adorned with inline strokes and shade highlights inspired by traditional sign painting techniques and casual lettering. Experiment by mixing styles and Textures for unique and interesting results. All separate styles and layers are built around a robust brush script packed with alternates and OpenType features. 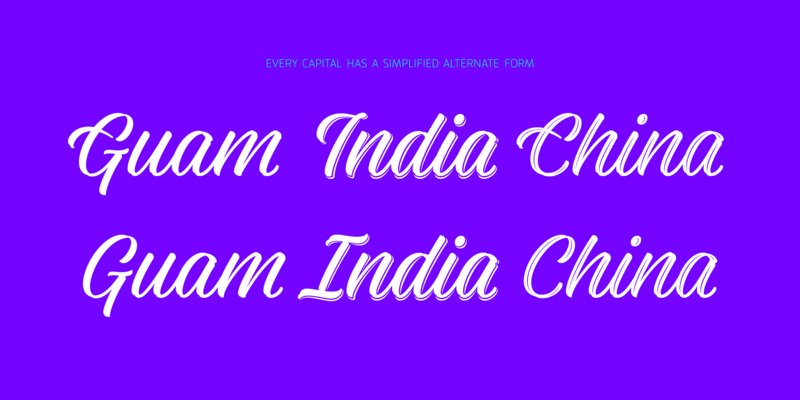 A full range of alternate capitals are available through stylistic sets, along with alternate ampersands, descending ‘z’s and non connecting r’s, o’s, p’s and b’s. In the click of a button the structure and flow of the script can be adapted to your specific typographic needs. Not One to leave it at that, Adinah is also crammed with hundreds of lowercase letter variants and expressive end pieces that make the letterforms flow naturally, connect and create pleasing word shapes; And don’t worry, All this is done Automatically through OpenType and ‘Contextual Alternates’ (On by default in most design applications).